Customize the way you store and display your artwork, paints, and supplies with this soft-sided, reinforced nylon portfolio. 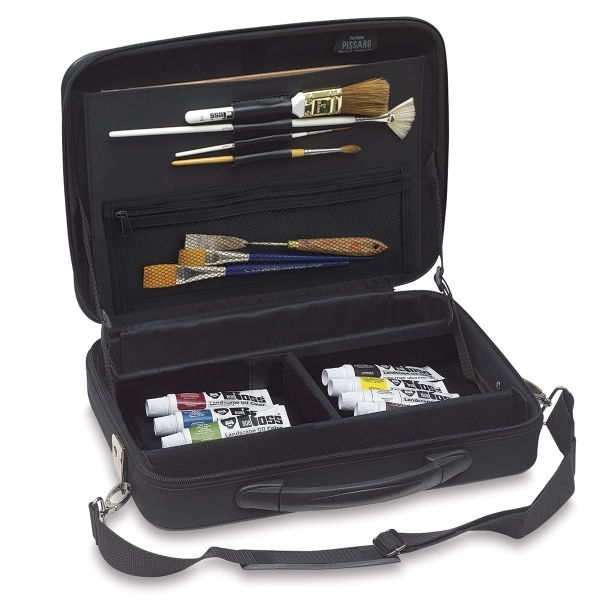 The Pissaro has built-in compartments for brushes, painting knives, pens, and more. Its unique Velcro tab dividing system allows you to personalize the other compartments to your own specifications. Two mesh pockets keep small items in one place and easily accessible. 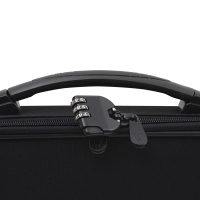 The Pissaro also includes rounded handles and an adjustable shoulder strap. Store up to 3" of materials.